The Cerberus Battle Pod is an individual digital creature tool for generating encounters for the A’Kyria tabletop RPG system, developed to assist you in creating your own adventures. 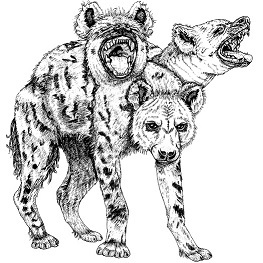 Cerberus is a breed of three headed dog that closely resembles a huge version of a hyena, including the hyena’s chilling laugh times three. They are strong, agile, and, while not particularly smart, they are deceptively cunning and mean in a fight. While they can be solitary travelers, they tend to roam in small groups of 2 or 3, always on the hunt. Due to the three heads, each attack is a primary attack and does not have a detriment for multiple attacks. Create an account today to get help, join the community, and track your pod purchases. 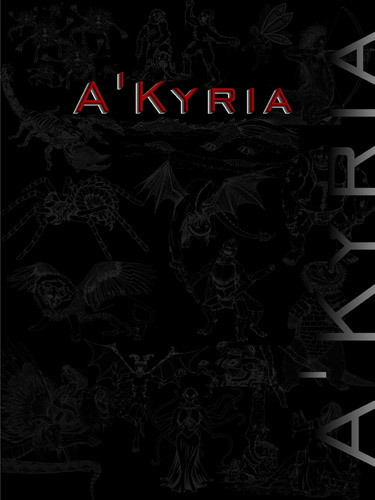 Join the A'Kyria mailing list. Get news, special features and latest releases! Copyright © 2019 Our Own Game Company. All Rights Reserved.